Auckland is actually a fascinating city. With the Waitakere Ranges to the west, the Hauraki Gulf and numerous other landscapes, there’s a lot to explore. One of my goals of late has been to take more and more of the waterfalls around here. It intrigues me that we are surrounded by so much, yet I encounter so few of us at these places. There may be a moral to this. Perhaps we are becoming far too urban. 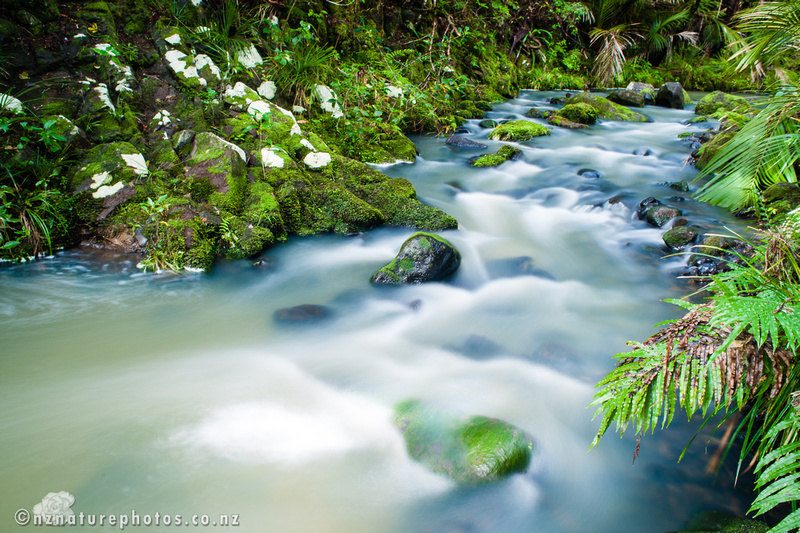 One of the waterfalls I like is Kitekite, near Piha. I’d tried photographing it a few years ago. It was time for a revisit. Personally, I like days that are a bit overcast for waterfalls. This tends to prevent the falls ‘blowing out’ the white highlights. Judging conditions were favourable, I made the drive over a few weeks back. The nice thing is the wet winter so far, has increased the water-flow. The drawback of that, is crossing channels in streams is a little more exciting and a lot wetter than I prefer. What is easy to navigate as a hiker, suddenly becomes a lot more anxious when you’re laden with camera gear that has an aversion to being soaked. 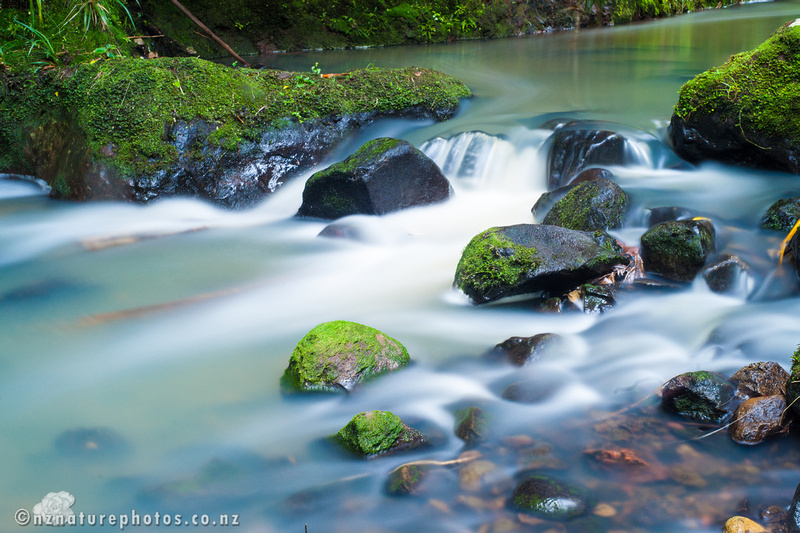 For this shot of the falls, I was perched on a boulder mid-stream, that was just large enough to set up the tripod. The vegetation framed the falls well. I also try not to neglect the streams as these can produce some interesting sights as well.